Another award nomination for the Parker Design team, this time for our work on a customer retention marketing campaign for Thomson Reuters. 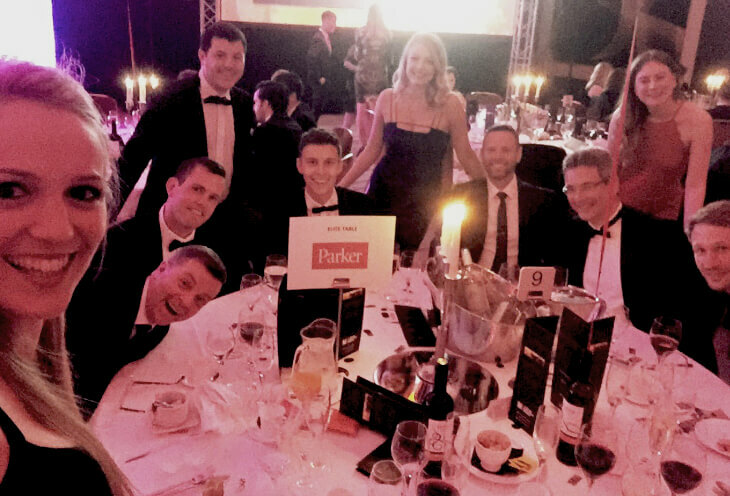 The Thomson Reuters & Parker Design table at The Drum Marketing Awards. The Parker team, from left: Creative Director Mark Bowers, Senior Account Manager Lauren Parker, Director Simon Hallows, Art Director Tom Hubbard. Parker Design’s Account Director for Thomson Reuters Chris Lees not pictured. We’re celebrating with our client Thomson Reuters after being nominated at The Drum Marketing Awards in their Finance and Professional Services Marketing Strategy of the Year category. The Thomson Reuters Elektron Data Platform marketing strategy formed the start of a fresh approach within our client’s marketing team to put customers first, closely followed by product. It directly informed one of the most extensive campaigns the global team had run to date, with the aim of improving retention rates amongst a large section of their customer base. Have a look at our detailed case study to see how we helped our client achieve these historic results.